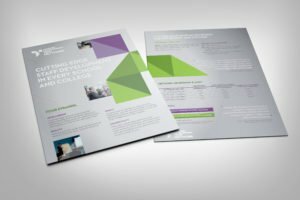 Cutting edge approaches to professional development not only boost staff performance, retention, morale and recruitment, but they can have a strong impact on pupil outcomes. 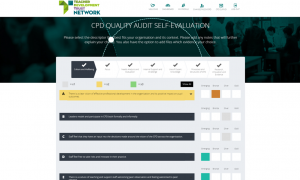 The Teacher Development Trust offers a powerful audit tool to help you understand how to improve the effectiveness of your in-house approach. There is significant emphasis on the quality of the research, evidence and evaluation methods that are used, and the framework is underpinned by practices from the most effective schools which not only deliver impact but create a high-morale staff environment. 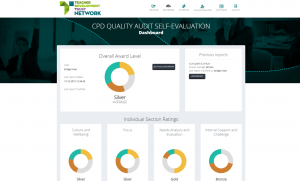 Standards in a number of areas are deliberately high and we would expect the majority of members of the network to be working towards the Bronze level when they first use the tool. A self-evaluation process completed by the leadership team, with the opportunity to annotate with comments and upload evidence. A report which compares senior leaders’ views against staff views, breaking down attitudes of types of staff. Over 100 schools have worked with us to commission a more detailed and bespoke analysis of their approach from our in-house experts. The assessment visit is carried out by an expert from our in-house team and analyses the senior leadership teams’ self review, the staff survey results, uploaded evidence (such as policies, examples of CPD undertaken) and undertakes a series of interviews with a range of staff (teaching and non-teaching, varied experience levels and roles). The school is given a detailed report with breakdown of results and commentary from the assessor. 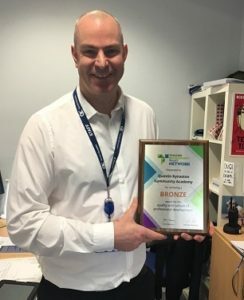 If the school achieves one of our Bronze, Silver or prestigious Gold levels then the school is given a plaque to display as well as given logos for signs, letterheads and job adverts. How to get the audit? Both TDT Network members and non-members are able to engage in the audit process. Download our flyer to explore pricing and contact us for more details. All staff (teaching and non-teaching) receive an anonymous online survey asking them for their views on professional development, culture, leadership, evidence, evaluation, etc. School leaders receive a detailed dashboard highlighting strengths, areas for development and a breakdown of the survey by staff type.